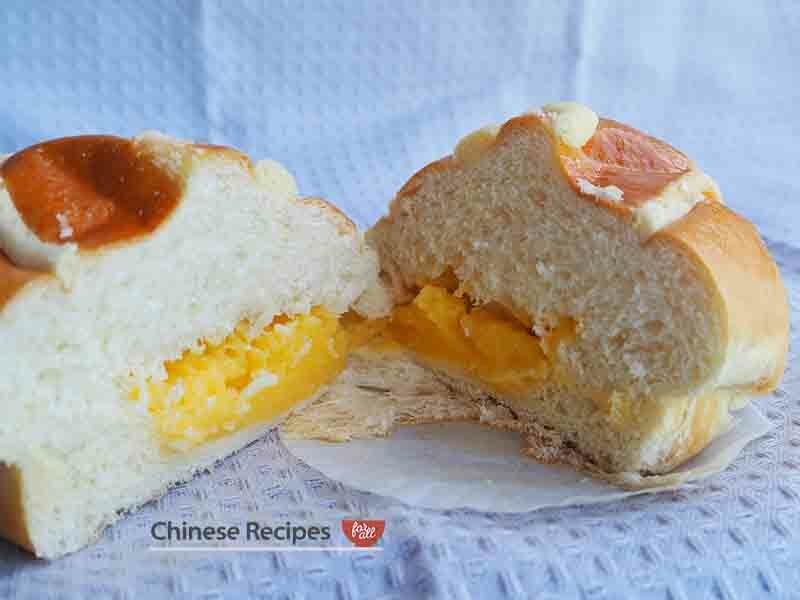 Normally has a swirl on the top so you can tell it’s the custard bun. The custard is sweet and has a creamy texture and the bun is massive, so perfect for satisfying your sweet tooth and filling you up! 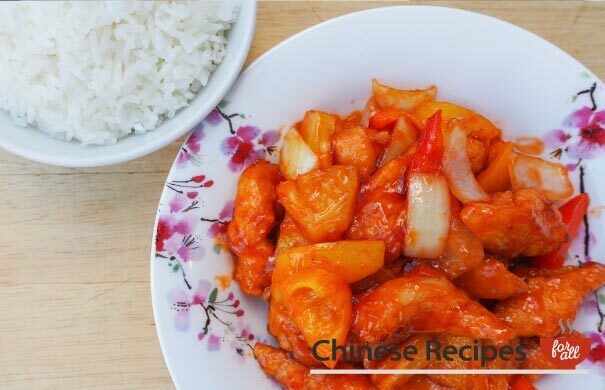 One of the most known and popular treats in Chinese cuisine. You can’t really go wrong with trying this one out. The tart crumbles in your mouth and the custard part is sweet and delicious. 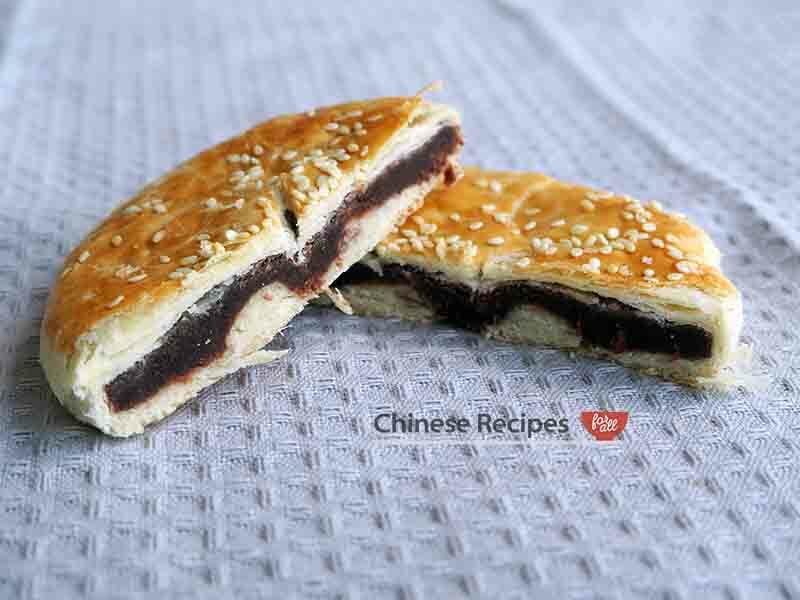 Don’t be put off by the term ‘century egg’ it’s basically an egg yolk inside this pastry. 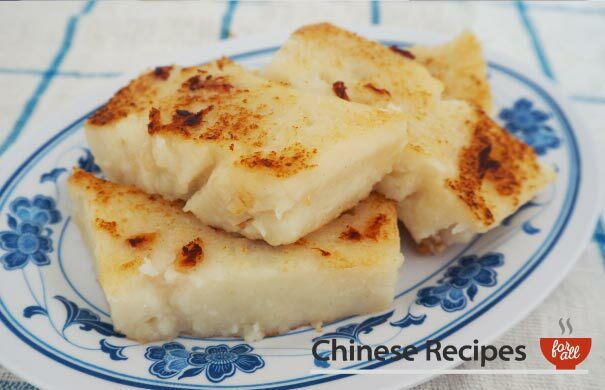 The outside layer is quite thin and flaky and the inside is filled with lotus paste. Lotus paste is a firm favourite of ours, it’s got a soft fudgey consistency and is sweet. 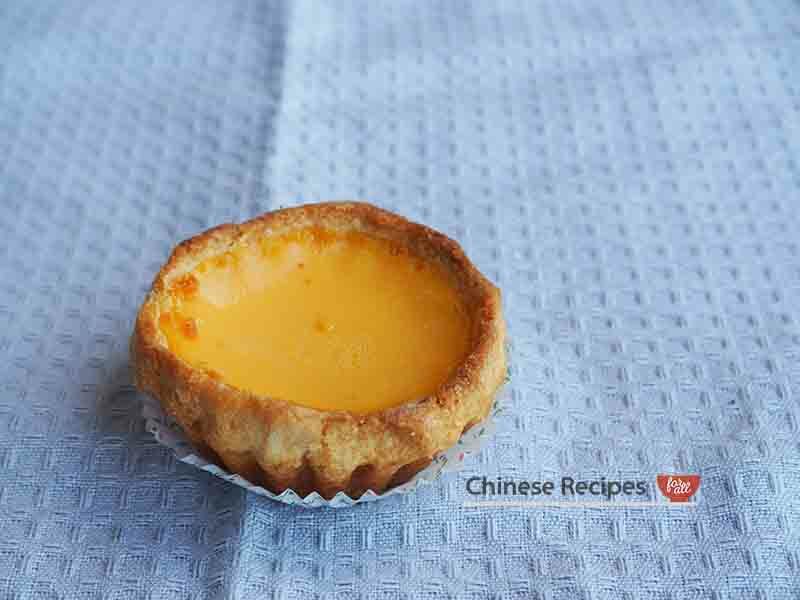 The pastry itself has a dry, crumbly texture with the sweet paste inside and the savoury egg yolk which goes surprisingly well together. Another very popular sweet treat in Hong Kong. 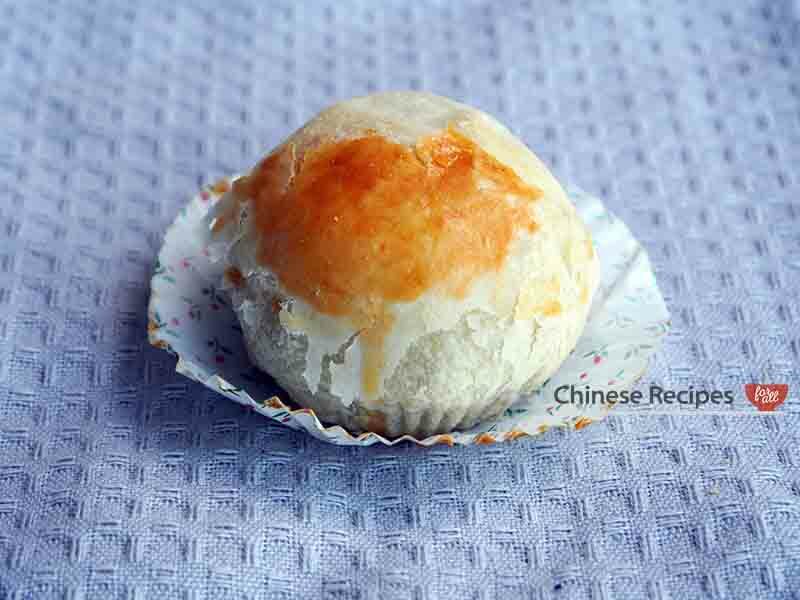 Its literal name translates to Pineapple Bun although it has no pineapples in it. 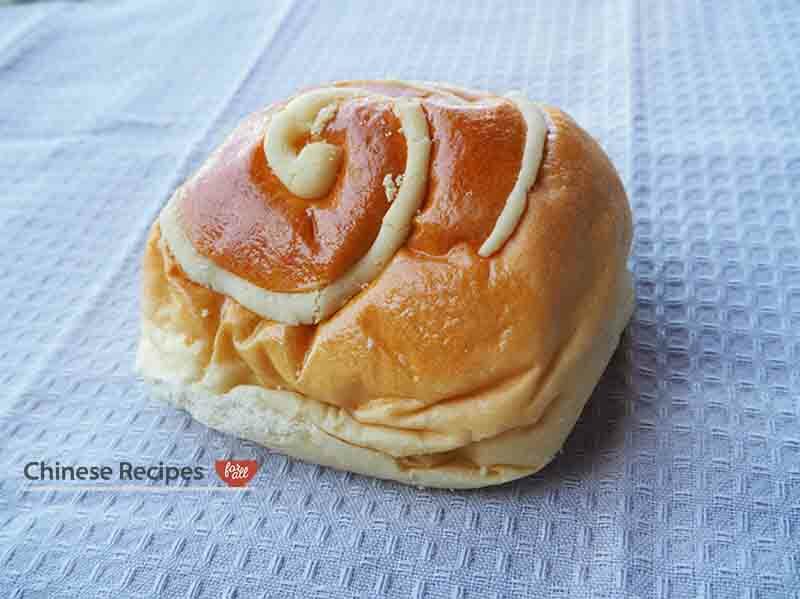 It is said that the pattern on top of the bun resembles a pineapple and so the name transpires from there. The topping tastes sweet and has a sugary, crunchy texture. It sits on top of a plain bun but don’t be deceived it is very tasty. 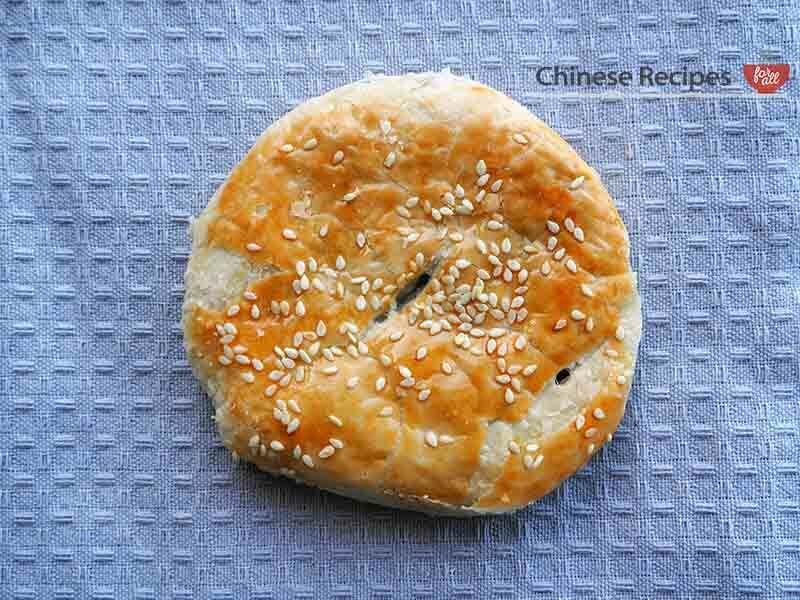 This is similar to the Lotus Paste Puff Pastry above, but this has a flatter appearance. 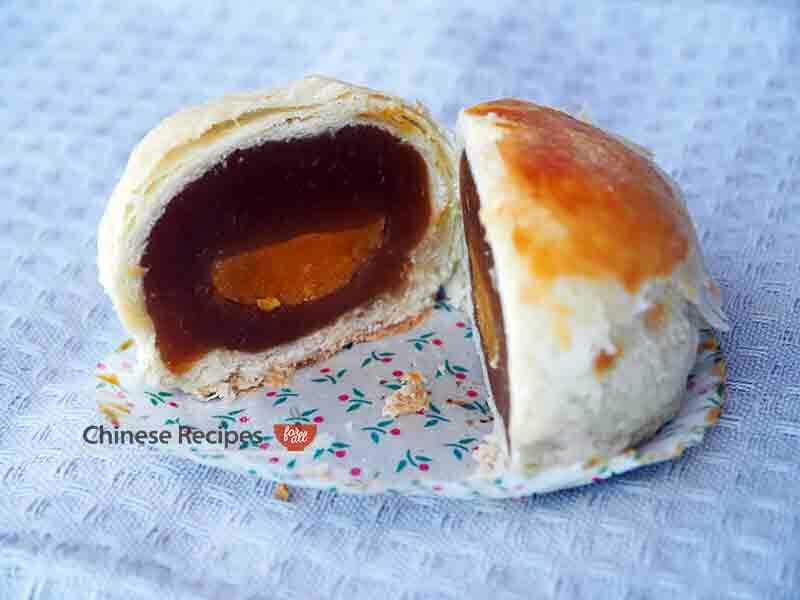 Inside is filled with red bean paste. 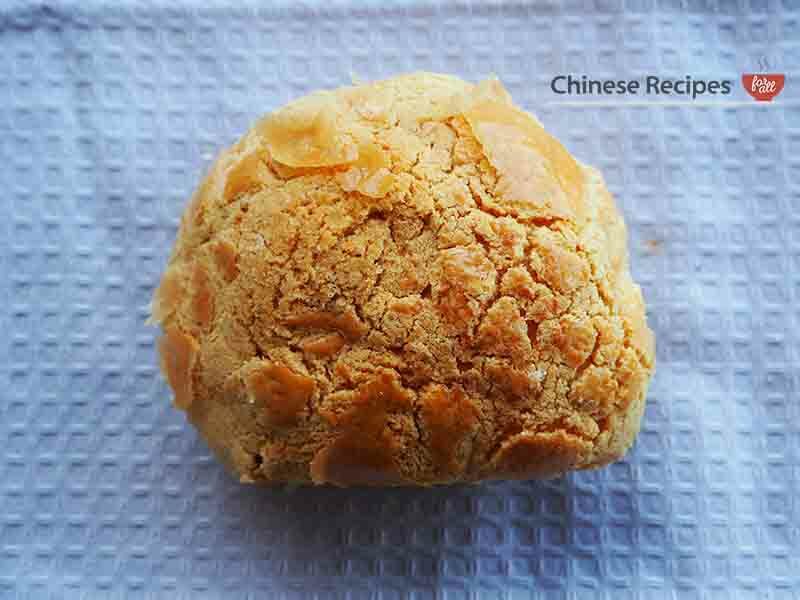 It has flaky pastry and is sweet, one of our favourites. 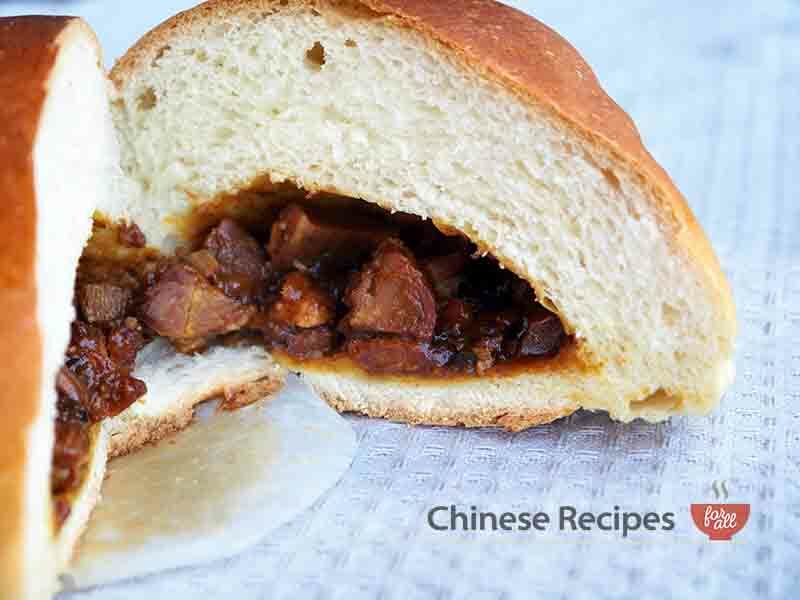 The usual Roast Pork Buns in dim sum restaurants are steamed and have white dough on the outside. 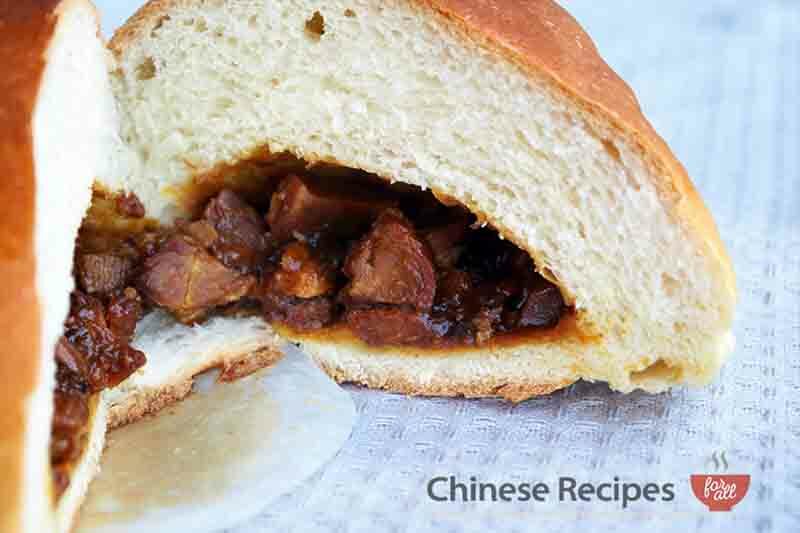 The ones you find in the Chinese bakeries the roast pork is normally stuffed inside a bun instead. 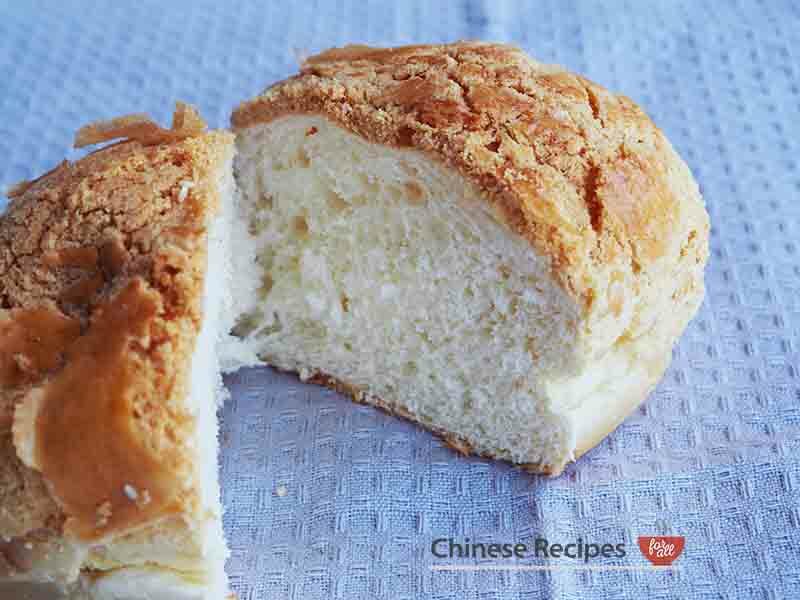 This is a traditional quick-bite-to-eat in Hong Kong type of bread. Once you have a taste, you’d understand why! 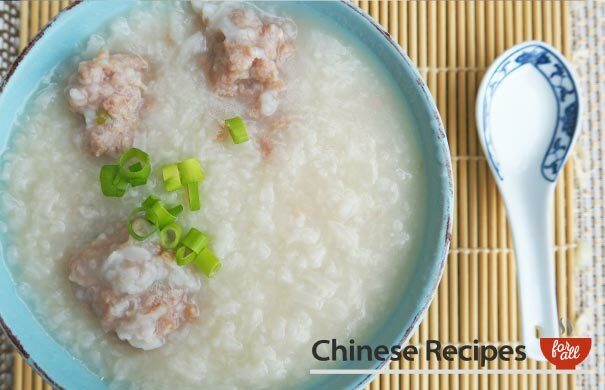 This is another very popular bite to eat in Hong Kong, and what more can you want? 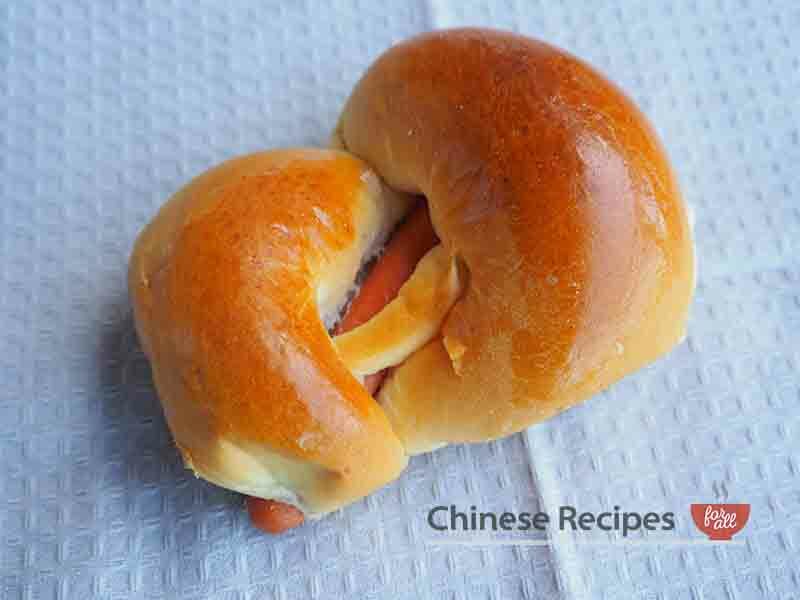 It’s definitely a sausage in a bun but it tastes absolutely divine!